The Greeks and Romans were the first to experiment with different roofing styles. When they began to conquer parts of Britain, they utilized slating and tiling to endure the rainy climate. It is indisputable that a roof is an essential component of any dwelling. Through innovation, there are many different roofing styles. Most of the changes in roofing materials have developed in the last 200 years. Although people generally still use the most available materials for the region. Wood and metal are used in the southern part of North America, slate in the northeast, wood in the Midwest and tile in the southwestern part of North America. Now we are seeing technological advances in glass, polymer and smog absorbing tiles. Most of the materials and systems available to us today began to take shape in the 1900’s. 1896 – Barrett Manufacturing Co. developed the alternating application of layers to produce an impenetrable foundation that we know today. This changed the shape of buildings, allowing for roofs to take on both a flat and pitched appearance. 1910– It is difficult to put a finger on who really created the asphalt shingle. The H.M. Reynolds Company of Grand Rapids, MI, claimed to have invented the product, but it’s hard to prove. However, asphalt shingles enter the story in the early 1900’s–making it possible to roll and stretch the compound into a material that could be cut into shingles. Since their conception, asphalt shingles quickly replaced wood shingles because of their endurance. 1925 – Clay tiling is one of the oldest forms of roofing materials and predates asphalt shingles. Over the years it has been improved in both style and shape. By 1925, the product was rebranded as an “ancient” material and catalogs from that time give evidence of their popularity in residential architecture. 1930 – Slate roofing was used in northeastern U.S. and parts of Canada where it’s readily available. Contractors encourage the use not just because it was available but it was impervious to the harsh weather conditions. It’s a weighted material that does well with steep pitches. The trend of slate took off in the 30’s and could be seen on many residential and commercial properties across the U.S.
1936 – A manufacturing company from Nevada changed roofing materials for the better. Homeowners wanted the look of clay tiles but not the weight or the cost. W.F. Norman Manufacturing Co. utilized the flexibility of metal’s design to construct stamped sheet metal roof tiles. It was the bridge between functionality and design. 1939 – Republic Steel Co. decided that small individual metal panels added unnecessary weight. So, they formed large corrugations that spanned a longer distance. It reduced the volume of metal needed to provide the superior protection they are known for delivering. 1957 — Red Cedar Shingle Bureau. Cedar shingles commonly topped residential structures through the 19th century but were supplanted in popularity in the 20th century by asphalt. The shingle typology has been revived in the 21st century for roofing and siding applications, typically in higher-end projects. There is some really good training that happens in the roofing industry today — and there is some really poor training, too. The NRCA offers several training options that can be completed online or in person and hands-on. There is training for roofing technology, roofing safety and professional development. The resources appear to be available; however, contractors need to buy in to the importance of introductory and ongoing professional training. It would also be highly beneficial if the industry had a training standard. This shift in attitude is what the roofing industry needs to recruit the kind of people needed in the industry. One of the biggest challenge roofers face is finding workers at all levels. The United states is getting older as a county and roofing is not post-retirement work. The field workforce today is almost 60 percent Latino, and the current immigration climate is affecting roofers’ ability to employ workers. Without a recognized and standard training program, roofing fails to create a foundation and tell the story of how rewarding it can be. There are two. One is referred to as the “green building” movement. Thirty years ago, roofing technology was primarily concerned with keeping water out of buildings. Today, roofers must understand long-term thermal properties, reflectivity, vegetative roof systems and the integration of photovoltaics into roof systems. That’s a big change. Along with understanding, roofers need to be aware of tax credits and different programs available in their areas that encourage more efficient and sustainable roofing systems. The second major change is the natural vertical integration of the industry. Years ago, it was not uncommon for contractors, distributors and manufacturers to fight with one another. Happily, the industry is moving much closer to alignment in all sectors. Roofers need to find the balance in pricing to offer a fair price to customers while maintaining value in the business. A top quality roof along with a great experience for customers should not also be the lowest price. The saying, “you get what you pay for,” is a truth in contracting and construction. Many roofing companies do not have big enough margins to even keep their company running for more than a few years, so it is important to establish a dependable and admirable reputation in order to have staying power. OSHA continues to pass more strict safety laws. It’s important to be looking ahead and plan for the future. Roofers do not always agree with everything that OSHA passes, but unfortunately that doesn’t change the fact that they are the ones who have the authority to enforce the laws. Roofers must be educated about the latest safety requirements and implement them as necessary to keep your employees safe and your company safe from violations and fines. According to Mitch Dickinson, a roofing contractor, “A roof will look the best in the conditions it was installed.” There are few professional roofers, if any, that would dispute that claim. A winter installation will always look the best in the winter. A summer install is the same. Temperature has such a great impact on the materials, unless you live in a climate with little to no temperature fluctuation, your roof will experience changes. Cold temperatures change the roofing game completely. There are multiple things to consider and plan for when the mercury drops and people need a roof over their heads. Frost on Rooftops can set back start time, progress, and hamper safety of crew. Most of the time crews tarp a roof, or roof section, one-two days prior to beginning a job to prevent frost. When the shingle company delivers materials, they typically leave the shingles on the roof–ready for install. If there is even a little frost, they will not deliver to the roof. This adds more time for the crew to move shingle boxes from the ground to the roof for install. There are multiple pieces of roofing equipment that freeze up or quit completely under cold conditions: compressors, nail guns, etc. Often a crew will take 10+ nail guns on a job because they freeze up and quit so frequently, and they don’t want the job to be stalled. A new nail gun in the winter will sometimes only make it one job. Whereas, that same gun would have lasted all spring and summer and probably into the fall. Being employed during the winter months is frustrating because crews will sometimes spend two hours shoveling snow off of a roof to only have four hours of good daylight to actually work. And after shoveling the snow, they are exhausted and cold. January and February are not profitable months for roofers. The expansion and contraction of materials is a big concern. Vinyl siding, shingles, rain gutter, and metal roofing all expand or contract based on temperature. Materials installed in the winter can/do buckle, curl, warp, and ripple in the heat of the summer. It is difficult to install materials in cold temperatures and account for the way they will grow in the heat. Many winter jobs will inevitably require summer repairs/maintenance. Some companies use an enclosed trailer with a heater to heat vinyl siding in the hopes that they can avoid excessive pitfalls of installing vinyl in cold conditions. It’s an okay fix, but by the time the material is unloaded, cut, and properly installed it has lost a lot of the heat they worked to give it. When the roof is cold and the ambient temperature is cold, adhesives are not only thick and hard to apply, they also won’t adhere to the roofing surface at all. It’s almost like they lose their stickiness. If a dump trailer that is full of materials is exposed to moisture, rain, snow, it often freezes and then it cannot be dumped until the whole trailer thaws. Most roofing materials are warranted as long as installed above 40°F. When it’s cold, roofers cannot guarantee the viability of the product or install. Many roofing companies have come up with their own creative methods for working in winter weather conditions. To keep materials such as shingles and adhesives warm, some roofers will build a makeshift box that can house a heater in order to keep materials at a workable and warranted temperature. This box may be a place to keep equipment warm as well. Another solution for warming materials is to have a large enclosed trailer that has a heater. In this case, it is imperative to have proper ventilation if using a gas powered heater. Tarping a roof a few days prior to starting a job will ensure easier snow removal and safety for employees when the job is started. A frozen dump trailer, if warmed overnight in a heated shop, will enable dumping the next day. You will have a giant puddle in your garage, but you will also have use of the trailer. Powerblanket manufactures hot boxes, propane warmers and caulk warmers that can all prevent delays on the job. Stucco is one of the oldest exterior coverings for a home or dwelling. Comprised of lime, cement and sand, stucco was used in different forms by the natives in American southwest, the Moors in North Africa, and the ancient Mediterranean dynasties. It worked well because it sealed over stone, brick and wood, protecting structures from the elements. Today it is a primary exterior choice for homes in desert climates. Traditionally, stucco was composed of lime, sand and water. In modern times, portland cement is added. Adding lime allows the stucco to be flexible when applying and is a sealer against water. Other additives like glass fibers and acrylic strands strengthen mix and prevent it from cracking. For best application/install it is important to be aware of required stucco temperatures and to keep stucco warm. Standard recommendations for stucco application temperatures range from 40° F on the cool side to 90° F on the hot side. For best performance, the temperature of newly applied stucco should stay at a minimum of 40°F. Too cold and the water in fresh plaster will freeze and create cracks. Too hot and it could dry too quickly, negatively affecting the hydration process and reducing optimal cure strength. At 32°F (0°C) and below, plaster/stucco will freeze on the wall and cause weakening of the plaster. Damage to the plaster can be so severe that you can rub it off the wall by using your hand. Hydration (an important part of the curing process) of cement-based materials is slower at cooler temperature. Strength development of the material can be reduced. Thermal fluctuations will cause movement in the substrate which can result in cracking. Any crack in the substrate, including joints between substrate components, is subject to movement. Cracks that appear narrow in the warmth of the afternoon, widen significantly during the night when the temperature falls. This movement can cause surface cracks that will need repairs. Do not apply plaster/stucco to frozen surfaces. Know the extended weather forecast in order to plan for the install. at 45 °F (7.2°C) or higher if possible. Plan tenting/enclosures for proper application under cold conditions to avoid freezing –make sure your enclosure will withstand wind and rain. or proper air movement for curing. Avoid using gas, kerosene or other fossil fuel heaters because they can cause rapid carbonation of cement-based material during initial set and cure. Ensure that the heat source can run long enough before and after the application for proper conditioning and cure times. Use a pre-blended plaster/stucco to eliminate the need to heat the sand and frozen sand piles. Water can be heated to accelerate the set and provide added protection of the cement paste. Do not heat the plaster/stucco mixture to more than 120°F. Reduce the amount of mixing water to the practical minimum to minimize shrinkage cracking. If you mix your own stucco, consider using a drum or bucket that you can warm with a blanket. This will keep your materials at appropriate temperatures during the entire install. Get a salamander and a license for operation. A salamander heater is any of a variety of portable forced air or convection heaters. They can be electric, or gas powered and work well within an enclosure to help maintain temperatures after application. If your enclosure heater operates with a propane tank, consider a gas cylinder wrap or propane blanket that will help maintain pressure and optimize the performance of your tank. The construction industry is a high risk industry, regardless of the time of year. But when cold temperatures, snow and ice, and wind are added to the mix, precautions must be in place to protect your workforce, your equipment and materials, and the job. Know the forecast and pay attention to changing weather conditions. Today we enjoy the benefit of real time updates on our phones and computers. When the weather outside is unsuitable for outside work, reschedule. Limit exposure to the elements. Wind chill can take an existing temperature from workable to downright miserable. And when wind and low temperatures are combined, it can be hard to reduce exposure for workers. Your employees were not made to be outdoors in these elements for long periods of time. Schedule outside work in shorter durations. Break up larger projects into smaller tasks. Establish a warm break area. Outside work is absolutely unavoidable for the construction industry, but workers need a place away from the elements to take a break. A heated trailer or a tent with portable heaters and appropriate ventilation works great. Educate supervisors and workers on proper safety procedures with heating devices. Emphasize proper hydration. We forget that our bodies sweat, even when it is cold outside, and especially when we are wearing extra layers of clothing. Keep plenty of water on hand. While many workers think caffeinated drinks will get them through, water is what the body really needs. Require clothing that will keep workers warm and dry. Boots with non-slip soles, heavy coats, gloves, and hats are all essential for protecting the body from severe cold weather. Proper clothing is the first step in preventing hypothermia and frostbite and for cold weather protection. Know the signs of frostbite and hypothermia. Even when employers do everything they can to protect workers, issues can still arise. Supervisors and workers need to know the symptoms of hypothermia and frostbite so that if anyone shows these signs, they can receive immediate medical attention. Remove snow and ice. Check the job site early each day, before the work begins, for snow and ice accumulation and for any additional hazards. Be prepared with salt or sand and remove large patches of snow and ice. Snow and ice removal, if left to the crew, will slow down the job and deplete their energy. Winterize and prepare vehicles. Before heading into the cold season, inspected all vehicles and equipment to determine if they are prepared for cold weather construction. Top off fluids, check tire tread and air pressure, and change filters. Equip all vehicles with winter kits that contain an ice scraper, snow brush, shovel, tow chain, flashlight with extra batteries, emergency flares, a blanket, snacks and water. Also, educate workers on what to do and who to call if they are stranded in a vehicle. Prepare and protect equipment. In addition to preparing vehicles for winter safety, smaller construction equipment also needs attention. Air compressors work best in well-ventilated areas with an ambient temperature in the compressor system’s optimal range, typically 40-95°F. If the temperature around your compressor becomes too hot or too cold, the compressor may not start or may exhibit performance issues. Moisture control also becomes a factor. Moisture that becomes ice can accumulate and affect the way the system runs, blocking drainage and preventing efficient compression. Protect Critical Materials. Adhesives, concrete, shingles, paint, caulk, resins, epoxies, and other construction materials need additional protection during cold weather construction. Winter safety also includes keeping these materials at proper temperatures for application. Failing to protect critical materials could result in shoddy work that affects the overall finished product. Hot boxes are ideal for cold weather construction safety, freeze protection, transporting, job site heating, remote location use, and winter roofing. Standard Hot Boxes hold product between 100°F and 120°F (38°C and 49°C) –optional adjustable thermostatic controllers allow precise temperature control. With so many snow removal products on the market, it can be difficult to decide which will best get the job done. In preparation for upcoming winter weather, we’ve compiled a list of the best available snow shovels based on ease of use, durability, and effectiveness. We hope this will help you decide which option will best meet your needs! The Garant Poly snow sled features an easy-to-push, light-weight design and deep sides that allow for the easy removal of large amounts of snow. Once full, loads of snow can be easily transported by tilting up the shovel and pushing to the desired destination. Users praise this shovel for it’s easy to use design that significantly reduces strain on arms, shoulders, and back. Above all, users love the Snowplow Poly Snow Pusher for its high-quality, durable construction. This shovel will hold up against even the heaviest, wettest snowfall– no bending or breaking! While not ideal for lifting snow, It’s perfect for pushing snow to the edges of driveways and other large surfaces without leaving damage. Because this shovel is so wide, it may quickly become heavy as it’s filled with snow. Like the first two shovels listed, the Aerocart Snow Plow is designed for “pushing” snow rather than shoveling and lifting. Like other shovels, the push design saves shoulders and backs from excessive strain. This snow plow features an easy to assemble design. Because the sides of this shovel are open (no “wall” on the edge) snow begins to fall out once it becomes full, making it best for use during lighter snow falls. This smaller shovel is designed for shoveling and lifting snow and features an ergonomically curved handle designed to reduce back strain. The Ames True Temper Mountain Mover is lightweight, yet sturdy. The blade of the shovel is reinforced with a sturdy strip rather than metal; this prevents damage a metal strip may inflict on cars and other sensitive surfaces. The Ames True Temper Polypropylene Combo Shovel is not designed to be lightweight, but is perfect for breaking through ice or packed snow. The edge features a sturdy metal blade. The handle is slightly bent which reduces how far you have to bend over to lift snow. An alternative to a snow shovel is the Summerstep Snow Melting Mat. Summerstep heated mats are designed to be left outside all winter long, can be custom made to fit any location, and will melt approximately 2 inches of snow per hour while operating. It eliminates time-consuming shoveling and de-icing and prevents slips that could cause serious injury and even a lawsuit. To save time and hassle, and for added peace of mind, consider making Summerstep heated mats a part of your winter safety precautions. Cold winter months and the accompanying icy or snowy weather is an especially important time to consider workplace safety precautions. The increased risk of injury due to cold temperatures, ice or snow is indisputable. According to the CDC, winter weather kills more than twice as many Americans than summer heat. Keeping yourself aware of the increased risk cold weather brings will help as you plan to prevent winter-related injuries and keep yourself and employees safe. Each year, around 900 people are killed and almost 76,000 people are injured in car wrecks during snowfall or sleet. 24 percent of weather-related vehicle crashes happen on snowy, slushy or icy roads annually. 15 percent happen during snowfall or sleet. Over 116,000 people in the US are injured and more than 1,300 are killed on snowy, slushy or icy roads every winter. 1 million Americans are injured due to slip and fall injuries annually. The risk of slip and fall injuries increases dramatically during winter months. Slips and falls are not the main cause of fatal workplace injuries, however, they represent the primary cause of lost days from work. From the above injuries, 34,860, or 82 percent, were due to slips or falls on level ground. Between 1990 and 2006, approximately 195,000 people in the U.S. were treated in a hospital emergency room because of injuries acquired during snow shoveling. Approximately 1,301 Americans die from hypothermia annually. If you or your employees are at risk for acquiring winter-related injuries, it’s important to properly plan against them. An effective solution to keeping steps, doorways and walkways safe and ice-free is the Summerstep Snow Melting Mat. Summerstep heated mats are designed to be left outside all winter long, can be custom made to fit any location, and will melt approximately 2 inches of snow per hour while operating. It eliminates time-consuming shoveling and de-icing and prevents slips that could cause serious injury. To save time and hassle, and for added peace of mind, consider making Summerstep heated mats a part of your winter safety precautions. How Cold is Too Cold to Pour Concrete? Experts agree that the best temperature to pour concrete is between 50-60 °F. The necessary chemical reactions that set and strengthen concrete slow significantly below 50 °F and are almost non-existent below 40 °F. Even when daytime temperatures are within the satisfactory range, winter concrete setting creates risks that could result in weak, inadequate concrete. If nighttime temperatures are below freezing, the water in the concrete will freeze and expand, causing cracks. Additionally, if temperatures reach below 40 °F (but not freezing) during set time, concrete will take much longer to reach required strength. However, if the correct measures are taken, concrete can still be successfully placed during even the coldest months of the year. Use heaters to thaw frozen ground, snow or ice. Use hot water to mix cement. Keep dry materials in a dry, warm location. Use products designed to set quickly. During cold weather, these products will not set as quickly as the instructions may indicate, but will set faster than conventional materials. Use additives that accelerate set time. Use caution; if additives contain calcium chloride, any rebar or metal wire mesh in concrete will rust and cause concrete to crack. Use extra cement (typically 100 lb/ cubic yard) to make the reaction hotter and cause concrete to hydrate more rapidly. Remember that you still need to wait for bleed water to evaporate. Incorporating the water into the surface during finishing will weaken the surface. Bleeding starts later and takes longer during cold weather; you can use squeegees or a vacuum to remove water quickly. Wait until concrete has reached desired strength to remove any framework. If the framework is removed too early, the concrete will be damaged and the surface could collapse. After implementing the above suggestions, It’s important to consider how you will keep concrete at the correct temperature during the curing process. Concrete must maintain a temperature above 50 °F for approximately 48 hours for the correct chemical reactions to take place. Two popular options used during cold weather concrete curing are heated enclosures and insulated blankets. If using an enclosure, ensure that the structure is both wind and waterproof. Additionally, ensure that there is proper ventilation for the space heater. Heaters cause an increase in carbon dioxide that could cause carbonation in the surface of the concrete. Powerblanket® concrete blankets are an extremely effective option for attaining and maintaining the correct temperatures for concrete pouring and setting. Powerblanket concrete blankets can be used to thaw ground before pouring concrete and again after finishing to keep concrete from freezing. Utilizing Powerblanket concrete blankets will ensure that concrete is kept at the correct temperature for the necessary reactions to happen quickly and the desired strength to be reached. After a heavy snow, it is important to remove the snow from walkways, driveways, and stairs as soon as possible in order to avoid ice buildup and reduce slips and falls. Save yourself time, effort, money, and a few fingers by preparing early for winter storms. Proper planning prevents poor performance. Read on to avoid common snow removal mistakes. Sometimes snow comes unexpectedly, but most often there is a weather report that will warn of the impending arrival. Prepare for the snow by preparing your yard before it arrives. A mistake many make is not securing or stowing away yard accessories that will become camouflaged after the snow. Hoses, garden shovels/tools, outdoor decor, childrens’ toys will all cause chaos in a snow blower if you forget where they were before the snow. This mistake will damage the yard object and possibly your snow blower. snow blower is powered off? “They stick their hand down the chute and try to dislodge the snow. And that is when severe injuries occur,” he explained. How can that happen, when power to the blades is off? Dr. Hammig’s research shows that inside all that clogged snow, rotational force is built up, enough to do damage even when the engine is cut completely off. It’s something many users have never heard. “And we know when that’s dislodged, it can actually rotate a quarter or a half a turn, which would probably be enough to do damage,” said Hammig. Individuals over the age of 40 and/or those who are relatively inactive, should be especially careful. Avoid shoveling after eating or while smoking. If you have a history of heart trouble, do not shovel without a doctor’s permission. Shovel only fresh snow. Freshly fallen, powdery snow is easier to shovel than the wet, packed-down old snow. Push the snow as you shovel. It’s easier on your back than lifting the snow out of the way. Don’t pick up too much at once. Use a small shovel, or fill only one-fourth or one-half of a large one. Slow Down! Shoveling (like lifting weights) can raise your heart rate and blood pressure dramatically; so pace yourself. Stretch out and warm up to prepare your body before taking on the task. Use proper technique. Lift with your legs bent, not your back. Keep your back straight. By bending and “sitting” into the movement, you’ll keep your spine upright and less stressed. The strongest muscles in your body (your shoulders, torso and thighs) can do the work for you. Do not work to the point of exhaustion. If you run out of breath, take a break. If you feel tightness in your chest, stop immediately. Powerblanket®, the leader in total temperature control solutions, now offers Summerstep™ heated door, stair, and walkway snow melting mats that use radiant heat to clear your path of ice and snow. These mats are heavy-duty snow melting, safety mats designed to melt snow and ice to prevent accumulation on stairs and walkways. They melt snow and ice on contact and create a safe walkway in even the coldest winter conditions. Summerstep snow melting mats help prevent accidents due to slipping and falling that could cause delays, decreased productivity, or increased costs in areas with heavy foot traffic: universities, hospitals, industrial sites, etc. Designed to be outside throughout the winter, Summerstep mats stop the accumulation of additional snow and ice, reducing time and labor intensive snow removal and eliminating the use of any harsh melting agents. Customize your Summerstep snow melting system with connectable mats to cover any space. When is it too cold to roof? It really is too cold to roof when temperatures are below 40° F (4 degrees Celsius. Many roofing products have adhesive properties that require the sun’s heat for activation. You risk a faulty roof install if you do not pay attention to the temperature outside. Continue reading for specific cold weather roofing tips. The ideal temperature range to install asphalt shingles is between 70 and 80° Fahrenheit (21 and 27° Celsius). Below 70° F and the adhesive will not reach the ideal elasticity and will not create a perfect seal. Temperatures warmer than 80° can be problematic in the other direction. Asphalt shingles can become overly pliable and are susceptible to damage during installation. Contractors are more likely to overdrive nails, and foot traffic can erode the protective granular layer quite easily in extremely warm temperatures. If winter installation is unavoidable, most asphalt shingle manufacturers require a specialized adhesive manually applied to each shingle for temperatures below 40° F (4° Celsius). If shingles are applied below 40° without the specialized adhesive, you risk a voided warranty. EPDM (rubber) membrane roofing materials are even more temperature sensitive than asphalt (composition) shingles. EPDM is joined together using an extensive amount of adhesive. It requires high temperatures to be pliable enough to install and cure. EPDM adhesive is very thick and hard to work with even at high temperatures. So how cold is too cold to install a new roof? Manufacturers recommend the temperature be above 45° F (7° Celsius) for installation. This recommended temperature is not very practical unless a warm storage area is available to keep the adhesive warm until the moment it is used. Powerblanket has a solution for your cold weather roofing needs. The Powerblanket® Hot Box will maintain the desired temperature of your shingles and adhesive on site, making a cold climate install much easier. While winter roofing is not ideal, Powerblanket makes it much easier than it has been in the past. Powerblanket Hot Boxes save you money by keeping your products from freezing, without the risk of overheating. The Hot Box pallet warmer can be easily assembled, taken apart, and reassembled. Hot Boxes are ideal for cold weather storage, freeze protection, transporting, job site heating, remote location use, and winter roofing. Standard Hot Boxes hold product between 100°F and 120°F (38°C and 49°C) and optional adjustable thermostatic controllers allow temperatures to be precisely controlled. “Cold Weather Roofing”. ProRoofing.com. 14 November, 2016. www.proroofingwisconsin.com/cold-weather-roofing.html. First, let’s define cold weather with respect to pouring concrete. Any time you have three consecutive days where the average daily temperature is less than 40°F, or if the temperature is lower than 50°F for less than half of any of the three days–that is undesirably cold for concrete. Pouring concrete in cold weather will have a detrimental affect on concrete curing for several reasons. Concrete transforms from a liquid to a solid material through a chemical reaction. The speed of the reaction depends upon the temperature of the concrete. When the weather is warm, the reaction proceeds quickly. When it’s cold and the ground hasn’t been thawed, the reaction slows down. That’s the problem: the concrete needs to harden as rapidly as possible to resist pressures caused by water freezing within the concrete. If the temperature is too cold, the concrete may not have reached a minimum strength of 500 psi soon enough to resist the effects of freezing temperatures. If your concrete isn’t protected with concrete curing blankets after it’s poured, it may cool too rapidly, slowing the chemical reaction. Poor finishing techniques can also doom your slabs. Freshly poured concrete often bleeds. The water in the mix floats to the top, since it’s the lightest ingredient. Floating or troweling this water into the concrete weakens the top layer. Troweling the concrete too early can seal this bleed water just below the surface as well. If your slab is then exposed to freezing temperatures several days later, this water can freeze and fracture the top layer. Using a concrete curing blanket can eliminate the potential of freezing. Read how Powerblanket solved concrete issues at the Statue of Liberty. Never pour concrete on frozen ground, snow, or ice. Be sure to order air-entrained concrete. Request a heated mix or order 100 lbs of extra cement for each cubic yard of concrete. This extra cement helps develop early strength. Be sure the concrete is ordered with a low slump (drier mix). This minimizes bleed water. After the final finish is completed, cover the concrete with a concrete curing blanket. The heated concrete blanket will prevent freezing and keep the concrete at an optimal curing temperature. After about three days, remove heated concrete blankets to allow the concrete to air dry. If you use Powerblanket Concrete Curing Blankets to pour in cold weather, your cement will cure 2.8 times faster than with conventional insulated blankets. Time and convenience are critical factors when planning out a project in the winter, and Powerblanket has you covered. Our goal is to provide solutions to problems, and give you total temperature control over every process and aspect of your business. From drum and barrel heaters to pipe wraps and snow melting mats, Powerblanket is dedicated to helping your business grow, saving jobs, and improving your bottom line. Whether you need to extend the pouring season, or you are trying to survive an early winter, know that you have total temperature control with Powerblanket. Typically, it is unwise to do any major structural winter road maintenance in the cold winter months. Many professional paving companies joke that the best time to do winter repairs is in the summer. Winter road construction is not so much dictated by the season, but rather by the temperature. Warmer states have much longer active road construction periods than states with cold winters. Without special engineering permission, most states prohibit paving in conditions below 45-50°F (for example asphalt conditions must be 50° and rising in Utah). Never install asphalt or concrete on a frozen subbase; this will only ensure additional work for you when the conditions improve and you have to redo the job. Crack sealing is actually preferred in colder months because pavements expand and contract with seasonal temperature changes. Consequently, cracks and joints are expanding and contracting when the pavements move. Crack sealing is a preventative winter road maintenance practice meant to extend the life of pavement. Since cracks on the pavement surface allow water and incompressible materials such as sand, dirt, and other debris to enter the pavement structure, these cracks can dramatically accelerate deterioration and weakening. Sealing cracks prevents further deterioration of the pavement and, when properly executed, can extend the life of the pavement anywhere from 6 months to 4 years. As recommended with the pothole repair, clear the crack of moisture, dirt, debris, vegetation and chemical deicers to make the sealing more effective, use a heat lance and/or compressed air. If using a heat lance take care not to burn or scorch the pavement and the place the sealant before the pavement in the crack cools to allow for the best adherence of the crack fill materials. Seal all cracks from 1⁄4 inch to 1 inch in width the entire length of the crack. Cracks smaller than 1⁄4” will not retain sufficient sealer to flex in the cold. Cracks greater than 1” will sag and possibly prematurely fail without the installation of HMA or backer rod. When repairing cracks, fill the entire crack and level any affected area to ensure a smooth and level pavement surface. Apply the sealant or repair material only when the sealant or repair material is within the manufacturer’s recommended application temperature. Special care must be taken to assure that the sealant temperature does not exceed the manufacturer’s recommendations; otherwise the polymers may be destroyed therefore reducing the sealant performance. Keep in mind that more sealant is not always better. Over applying sealant material can lead to problems when paving over with HMA or bleeding up through the seal or paving application. New sealants are not designed to be “road glue”. They are very sticky and have tremendous bonding power; however, they were not made to “hold the road together”. Crack sealing has one objective: to prevent water from further damaging roads. Sealing “buys time” and saves money by delaying the expense of major reconstructive pavement work. Whether you need a means for protecting temperature-sensitive materials in storage, or you need a heating solution for onsite temperature maintenance, the Powerblanket Hot Box will do the job. This versatile heating solution accommodates remote-location use, job site heating, the transporting of temperature sensitive materials. The revolutionary design of Powerblanket Hot Boxes provides uniform heat to all materials stored inside. This reduces the chance of having any hot and cold spots. If stored properly; chemicals, industrial products, and temperature sensitive materials will last longer and be more effective. On January 4, 2017, Doctors in Germany prescribed a strategy to avoid slipping on ice: walk like a penguin. Imagine all your employees waddling back and forth like a rookery of penguins! This is not exactly what the German trauma surgeons meant. The technique involves leaning forward so that a person’s center of gravity is on the front leg rather than divided evenly between both legs. “When humans walk normally, body weight is split almost evenly over both legs, which the surgeons say increases the risk of a person losing their balance and falling on slippery surfaces.” It’s a comical visual; however, slipping on ice is a serious workplace concern during icy and cold conditions. Falls account for over 8 million hospital emergency room visits, representing the leading cause of visits (21.3%). Slips and falls account for over 1 million visits, or 12% of total falls. Fall fatalities are nearly equally divided between men and women. However, more women will experience a slip-and-fall accident. According to the Bureau of Labor Statistics, falls accounted for 5% of the job-related fatalities for women compared to 11% for men. Fractures are the most serious consequences of falls and occur in 5% of all people who fall. Slips and falls do not constitute a primary cause of fatal occupational injuries, but represent the primary cause of lost days from work. Slips and falls are the leading cause of workers’ compensation claims and are the leading cause of occupational injury for people aged 55 years and older. Take it slow! Shoveling (like lifting weights) can raise your heart rate and blood pressure dramatically; so pace yourself. Stretch out and warm up to prepare your body before taking on the task. Don’t pick up too much at once. Use a small shovel, or fill only one-fourth or one- half of a large one. Removing ice and snow regularly to prevent slipping on ice can be a full-time job depending on the weather. To save time, energy, and your employees health, use Summerstep heated safety mats to keep the walkways on your construction site clear and avoid snow shoveling. 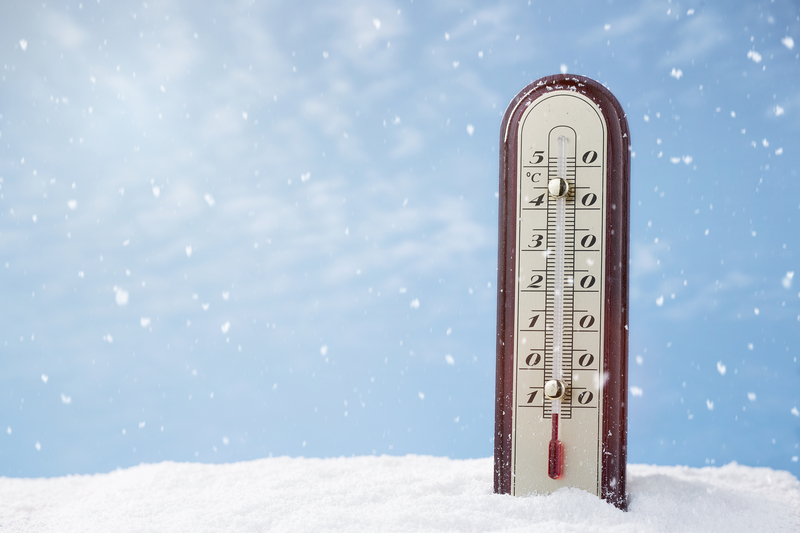 Stay safe with these industrial winter safety guidelines. The leaves are falling and so is the temperature. Winter will be here shortly. While it is beautiful and enchanting, winter can pose some major hazards if you haven’t prepared for it. Failing to recognize and respect the dangers of winter is not recommended. Multiple layers of loose-fitting clothing allow the worker to adjust their comfort level and protection based on the current temperature. Tight fitting clothes reduce blood circulation. Many forget the danger of sunburn when it is cold outside, but it is always important to protect from the sun. Wear a hat, scarf or face covering and always wear waterproof gloves. Also, it is wise to keep a change of clothes with you in case your existing clothes get wet. Being wet can increase the rate of heat loss from the body. It’s easy to forget the simple importance of hydration when it is cold outside. It’s not like the steamy summer months when we know we are sweating. You still sweat—even in cold temperatures. For optimal performance, keep the body hydrated. When the weather is particularly cold and/or windy, regular breaks are important. If possible, take a break inside or under shelter where you can warm up a bit. If it gets very cold, get inside and warm up. Wear proper footwear when tackling winter weather. A pair of water resistant and insulated boots with rubber treads is important for industrial winter safety. Slow your pace and shorten your steps when navigating snowy/icy walkways. Frostbite and hypothermia can set in unexpectedly. Get inside if you begin to experience either. If a co-worker seems to be manifesting signs, help them get help immediately. Be aware of those around you and take care of each other. If using a non-electric heater, ensure that there is proper ventilation to let gasses like carbon monoxide escape. Top off your fluids, drive slowly and allow yourself additional time to travel. Pay attention to changing road conditions. Make sure that walkways, paths, stairs, and entries are free from snow and ice. Do this as quickly as possible when a winter storm sets in. Slips, trips, and falls will decrease dramatically when the path is clear. Powerblanket offers a NEW method for clearing the path that does not use chemicals or salt, or require you to break your back shoveling. Summerstep™ industrial snow melting mats use radiant heat technology to melt snow and ice on walkways, stairs and doorways, improving industrial winter safety. Not only does Summerstep melt away the existing ice and snow, but as the storm continues, the path will stay clear as accumulating snow will instantly melt away. Summerstep heated walkway mats can be linked together to match the length you need to ensure safe travels. Always use proper engineering controls, safe work practices, and personal protective equipment (PPE) required by your employer in all work conditions. Fall isn’t just a time to think about Fantasy Football, it’s time to start winterizing your IBC totes. In this blog post, we’ll go over a few ways you can start preparing before temperatures drop. Better to do it now, than wait and scramble to defrost your frozen IBCs. Most IBC’s are designed in part to be stackable by means of a forklift. By stacking and grouping the tanks together, you reduce the surface area exposed to the cold air. This method certainly won’t keep the totes warm, but it may keep internal temperatures a degree or two higher. In subzero temperatures however, this would still be fairly ineffective. The most obvious solution to winterizing your tanks would be moving them into a climate controlled warehouse. The obvious drawback to this is the amount of space that each IBC tank takes up, as well as the outrageous heating costs of a warehouse (more than 10% of total revenue for some businesses!). Another drawback for some, is the inability to localize the heat, or maintain a certain viscosity- if you are storing liquids where this is important. Perhaps the most efficient and controllable solution to winterize your IBC tote is a Powerblanket– an electrically-heated, industrial blanket that wraps around your IBC. We have ready-to-ship solutions for every popular size of tote. They come with or without an insulated lid, and an adjustable thermostat that reaches as high as 145 degrees F. If our stocked tote heaters don’t fit your application, no problem, let us make you a custom one. We have a team of engineers onsite that can design a Powerblanket to fit any size, variation, and specification of your particular totes. Drop us a line. Whether you store liquids, chemicals, or food items in IBCs, take the time to protect them now so that you can worry about your Fantasy lineup, instead of worrying about your business materials when you wake up and see frost on the ground. Any other concerns or questions? Ask us in the comments! Traditional band heaters are a mess, and by a mess we mean a safety hazard, an inefficient tool, and an unnecessary means of heating material. While old band heaters have their many limitations and setbacks, the Powerblanket 400 Insulated Band Heater does not. Our primary motivation for writing this blog isn’t to disparage traditional band heaters, but we do feel it’s important to tell people about their shortcomings. Frankly, no one should be using traditional band heaters anymore. Perhaps many years ago, these devices were the best means for heating metal barrels and drums (and even then, you had to balance their limited benefits with their risks and inefficiencies). But nowadays, there is far better technology available to answer the same need, and it does so in a much better and safer way. The problem with old band heaters is this: strapping an exposed, heated, band around your storage container leaves room for fire hazard and burn potential. If anything touches that band on accident, well, it’s going to wreak havoc. Depending on what it is, it could start a fire, and if it happens to be a hand, leg, or arm…you can cringe a little when imagining the result. After talking about the woes of traditional band heaters, let us introduce you to the Powerblanket 400 Insulated Band Heater. Our insulated band heater answers the same need for heating and warming as traditional band heaters do, only ours doesn’t come with the negative side effects. To start with, our band heaters are insulated, which means you don’t have the hazard of a really hot, exposed strap. If something were to touch our insulated band heater on accident, big deal. It won’t cause a fire, and it won’t burn…and that goes for human flesh too. Additionally, our insulated band heaters can provide integrated temperature control for the heating process, when coupled with our auxiliary controller. You can heat from low to rather high temperatures. And get this, these insulated band heaters can be used on metal and poly containers. So imagine a band heater that is safe, efficient, and versatile, and you just imagined the Powerblanket insulated band heater. No imagining is necessary though. It’s real. See for yourself. When placing concrete in cold weather, protecting the asset (the concrete) is not optional. For years now, experts have used insulated blankets to both protect the concrete and speed the curing process at the same time. Concrete cures due to a chemical reaction that generates heat as a byproduct. So insulating the concrete allows that heat to be trapped and used to aid in the curing process. Concrete cures fastest in very warm conditions, so this makes the use of an insulated blanket a practical and theoretically sound practice. Sometimes the circumstance will allow for the luxury of a postponed pour, in order to take advantage of an expected temperature change. But more often than not, schedules and deadlines make it imperative to institute curing assistance to get through less-than-favorable weather. This is where Powerblanket Concrete Curing Blankets come in. As much as traditional curing blankets aid in protecting and accelerating the curing process, Powerblanket curing blankets provide both insulation and heat, protecting and accelerating all the more. Our patented blend of technology delivers an even distribution of electrical heat to the surface area of the blanket, trapping the heat of the chemical reaction in the concrete and adding the additional heat needed to accelerate the process even further. Since Powerblanket Cement Curing Blankets insulate and heat, they effectively accommodate the hydration of the concrete as well. How well do they really work? Take a look at our case study to see an example of curing nearly three times as fast with our blankets. So before you’re faced with a project that must go on despite inclement temperatures, make sure you have a plan on how to protect your concrete and keep your deadlines met. When considering the options you have before you, we’re confident you’ll find our solution to be the best answer out there. So many industries need heating solutions, and not just during the cold months either. Epoxy curing, chemical storage, viscosity maintenance, food preparations, concrete curing, and much more can all benefit from innovative temperature regulation year round. And hey, that’s what we do. Powerblanket® produces an extensive line of ready-to-ship products designed and engineered for a myriad of purposes. For example, if you store temperature-sensitive materials in drums, barrels, or totes, then our ready-to-ship barrel and drum heaters or tote heaters will accommodate your heating needs perfectly. If you store DEF, then take a look at our DEF heaters. If you have palletized product you need to keep warm, check out our Hot Box. Along with all these great product offerings, however, one of our company’s greatest contributions to the industries we serve is the ability we have of producing custom heating solutions for just about any project under the sun. We’re in November now, and many are thinking about the effect cold weather is going to have on their business continuity. Some will search high and low and feel frustration at the lack of solutions that fit their very specific need. If you’re reading this as one of those frustrated individuals, then take courage, because we specialize in this sort of thing. Sometimes the word “custom” makes a process sound like it’s going to take a long time and cost a boatload of money. With some manufacturers, that may be true, but our manufacturing and customization process is fluid and effective, meaning that we can turn around a custom product in a reasonable window. In the case of Powerblanket, you can expect to be wowed. So whether you need a heating solution for a large or oddly shaped propane tank, truck-mounted water cylinders, valves, manifolds, instrumentation, large scale epoxy curing, or any other specific application, then Powerblanket is ready to help. Sometimes the word methane carries with it a negative connotation, but if there’s a word or combination of words to trump it, it’s “methane hydrate,” at least if you’re in the piping industry that is. While methane hydrates can be found naturally occurring in the deep abys of the ocean bottom (and could serve as a good energy source) when it comes to gas lines, there’s nothing good to say about them. In terms of simplicity, a methane hydrate is a combination of methane gas and water. When these two combine at freezing temperatures, they form a solid methane hydrate. Interestingly enough, these crystal-like rocks form naturally at the depths of the sea. And in cases of potential energy sources, well, methane hydrates could be a thing of the future. However, when it comes to the piping industry, these rocks just plain get in the way. In the case of the piping industry, methane hydrates can put a stop on gas flow like plaque can put a halt on blood flow in our arteries. When natural gas passes through piping equipment at temperatures near or below freezing, the buildup of condensation and the contraction of gas molecules create these gnarly solids we’ve been talking about. When these hydrates buildup in pipelines, especially at transition points like valves, manifolds, and instrumentation, they can pose a substantial risk to continued operation. In fact, they can outright stop it in its tracks. So what’s the solution? It’s a simple one. It’s heat. Adding heat to a pipeline can keep temperatures at the ideal level and will entirely prevent the formation of methane hydrates. When adding regulated and even heat distribution to your equipment in the form valve heaters, manifold heaters, and instrumentation heaters, hydrate formation is no longer a problem. Thankfully, this is one of the major areas Powerblanket assists the piping industry with. Our valve, manifold, and instrumentation heaters offer the easiest and most efficient solutions to heat maintenance on a natural gas or liquid pipeline. So if hydrate formation is a dilemma that keeps you up at night, reach out to Powerblanket today, so you can start sleeping better. When it comes to maintaining and protecting the precious valves and instrumentations on your pipes or pipeline, Powerblanket valve heaters and instrumentation heaters outperform the best heat trace. If that seems like a bold statement, read on to find out how and why. Heat trace, often times referred to synonymously as trace heating, is a common form of providing heat and freeze protection to pipes and pipe valves, manifolds, and instrumentation. Trace heating (TH) has been around for a long time, but the cons associated with the technology are still present today. While TH offers a great solution for long stretches of pipeline sitting above ground, it certainly has its limitations when it comes to protecting valves, actuators, and instrumentation from cold weather. One potential downside or setback related to TH installation is the requirements that come with its use. If a company is going to install TH on their piping system, they’re going to have to hire a certified electrician to do it. This translates into more time and more money. What’s more, once it’s installed, it’s permanent, whether it gets in the way or not. And while TH works well with metal piping instruments, due to the conductive nature of the material, it doesn’t work with anything else. TH amounts to installing heated wires to the external surface or your pipes and instrumentation, but this isn’t the best option when it comes to protecting your assets from the cold. Applied heat, and insulation are what’s needed, and TH only offers conductive heat. Powerblanket valve heaters and instrumentation heaters, on the other hand, offer the best combination of both. With Powerblanket, you can easy install, uninstall, reinstall our rugged vinyl blanket to add an insulated wrap of direct heat to keep your instrumentation at the ideal temperature, regardless of the weather. In addition to this, Powerblanket instrumentation heaters offer the most consistent and efficient heat distribution on the market. With our patented technology and proprietary blend of materials, Powerblanket heaters provide even and regulated heat distribution throughout the entire surface area of application. What’s more, our custom approach makes our technology available to fit the biggest, smallest, or most uniquely shaped instruments around. So whether you’re looking to protect small, large, or oddly shaped instrumentation, look no further than Powerblanket. If you’re in the business of concrete, then you know that winter poses the most complications when it comes to proper concrete curing. However, you’ll be equally aware of the fact that summertime also has its challenges. Sure, winter is a far more difficult time to deal with when pouring concrete. Proper curing involves ideal temperatures, and winter imposes on these ranges more than any other season. That’s why when it comes to pouring concrete in winter, you need the assistance of a good concrete curing blanket. But what can be done to counter the challenges of summer, and what are those primary challenges? In the summer months, you don’t have to worry about freezing temperatures. Instead, you need to watch for levels of relative humidity, temperature fluctuations between night and day hours, and an increase in the water demand for concrete curing. With these factors to consider, careful monitoring of the concrete is still an important element of the job. Hotter temperature and low humidity can increase the need for additional water, and large fluctuations between the daytime and evening temperature can pose significant problems too. If there is the risk of a rapid drop in temperature, then there is the risk that your concrete could crack. Even though the temperature may be ideal for curing during the day, that doesn’t mean it will be at night. Certain regions can experience significant temperature variances between daytime and evening hours, and these variances should be considered potentially problematic while your concrete cures. Using a Concrete Curing Blanket in the Summer? It may seem a bit of a stretch to suggest the use of a curing blanket during the summer months, but the reality of the situation is that it can be a very reasonable call. Think about the potential scenario of dropping temperatures at night. If your concrete is curing well during the heat of the day, and then experiences a drastic drop in temperature at night, then it’s going to affect the cure and even cause potential cracking. Using a concrete curing blanket at night would allow you to regulate the temperature range even if it’s dropping. This would produce a more uniform cure and would also speed up the process significantly. The blanket likely wouldn’t be needed during the day, but applying it at night could greatly decrease the fail rate of an expensive and time consuming project. Heat tape (or heating tape, as it’s sometimes referred to) is a way you can implement low-key freeze protection for your exposed pipes during the winter. In fact, this handy technology can even be used to safeguard instrumentation and other devices that are left out in the cold. However, as savvy as this approach sounds, did you know that there is a much better solution? Heat tape has its uses in very small applications, but in most scenarios, it can be like putting a Band-Aid on a broken bone. Such a technology offers direct heat only where the tape contacts the pipe or apparatus on which it’s placed. When used on metal pipes, the heat exchange is bound to spread, merely because metal is an obvious conductor of heat. With this in mind, then, we can see another limitation in the freeze protection offered by heating tape; it can only be used on heat conductive surfaces. Aside from this, another problem with heating tape is the simple fact that it offers only heat. Such an approach provides no insulation against the cold. Insulation on its own isn’t enough; that’s for sure. But neither is heat. Instead, the proper combination for free protection and temperature regulation is the combination of both. And this is where heating blankets come in. Now that we’ve sufficiently covered all the shortcomings of heating tape, we can address the characteristics of a far better solution. That far better solution is heating blankets, or heat blankets. Heat blankets are a combination of heat-distribution capabilities married with durable insulation for a myriad of industrial and commercial applications. In the case of Poweblanket, we offer a revolutionary and patented approach to heating blankets. Our durable vinyl shells are capable of insulating assets in temperatures as low as -50° F. What’s more, Powerblanket heating blankets offer the best and most efficient heat distribution on the market. So if you have valuable material or equipment to protect from the effects of cold weather, give us a call today. “In a field one summer’s day a Grasshopper was hopping about, chirping and singing to its heart’s content. An Ant passed by, bearing along with great toil an ear of corn he was taking to the nest. ‘Why bother about winter?’ said the Grasshopper; we have got plenty of food at present.’ But the Ant went on its way and continued its toil. Of course, the implications of this story can go far deeper than the need for good winter preparation. But for the sake of comparison, the story’s plot is rather poignant for the industries we serve. When cold weather does hit, it’s best to already have the systems and products you need in place to brave the effects of winter. So if you have assets to cover come late October, now’s the best time to start getting together the protection you’ll need. When you think of the phrase “heat trace” or “heat tape,” what images come to your mind? Perhaps you haven’t ever heard of these terms before, and now you’re curious. When it comes to heated pipes for protection against the ruthless cold of winter, trace heating is the system by which the warmth you need for your pipes flows. Read here to learn more about the uses and value of trace heating. Trace heating does just as its name implies: an electrical surface or wiring is linked to some other surface (whether it be a pipe, flooring, etc) and traces its way along that surface’s path. This, in turn, provides and maintains heat where it’s most needed. Thermal insulation is wrapped around both the supplier of heat and the recipient of heat to ensure stable, permanent warmth. The apparatuses involved with heat trace (also known as heat tape) can vary in size and surface area, depending on the physical dimensions of the application. What Are the Benefits of Heat Trace? Think of the value of trace heating as twofold—accommodating functionality and increasing throughput. While its prime purpose is to protect and insulate against undesired invasions from the elements (i.e. keeping substances flowing that can solidify or slow in cold temperatures), thus accommodating functionality, it can also be utilized to increase the efficiency of operations. For example, heat trace can drastically improve the throughput of gas transportation and extraction by increasing tank and pipe pressure—being that gas slows as it cools. Drawing upon the fundamentals of heat trace, Powerblanket uses a patented blend of technologies as a highly efficient and less expensive means of distributing heat evenly over the surface of any application. Whether you need to protect a piping system, valves, manifolds, instrumentation, gas tanks, liquid storage, or anything else from cold weather or depreciation in efficiency, Powerblanket technology can enable you to do so with greater ease and dependability. Have you been asking yourself: where did winter go this year? Well, it seems a natural question to ask, considering the uncommonly warm winter much of the United States and Canada have been experiencing. However, this winter and the warmer weather it brings, isn’t due to climate change; it’s a bit simpler than that. That’s right, the Jet Stream. If you’re not familiar with what the Jet Stream is, here’s a simple definition: The Jet Stream is a fast, high-altitude, westerly wind. As shown in the image to the right, there are two types of jet streams at work in both the northern and southern hemispheres. These two types of jet streams, polar and subtropical, play a large role in weather patterns worldwide. Now, when you ask yourself: what has caused this bizarre winter, you have the answer—the Jet Stream. Apparently, this year the Jet Stream has played farther north than it has in a while, and we’re talking the polar jet stream in this case. Usually this time of year, the polar jet stream dips south and brings with it that freezing arctic air. But with the polar jet stream maintaining more northerly latitudes over the last few months, it has allowed the subtropical jet stream to move farther north than it usually is this time of year—bringing with it the warmer, subtropical air. What Does This Mean In the Long Run? Naturally, the next question to follow would be something to the effect of next winter’s forecast. Can we expect this trend to follow into next year? Well, it doesn’t take a meteorologist to tell you that weather can be a very difficult thing to predict. For all we know, next winter could be the coldest one yet. The key, then, is to be prepared. As a case in point, in 1962 a huge artic blast (via a plunging polar jet stream) dipped into the northwestern US—dropping temperatures as low as -40° F in the southwestern United States. Evidently, this cold blast eventually caused snow fall on the Gulf Coast. Now who would have predicted that? 1962 was a year that set many records, but the truth remains, and it’s as pertinent today as it was then. Whenever winter approaches, it’s best to play it safe. Plan for the worst, and if the weather throws a surprise your way in the form of warm temperatures, then you’ll still be ready for next winter. Besides, while winters like 1962’s are rare, what’s even rarer is a winter like 2015.